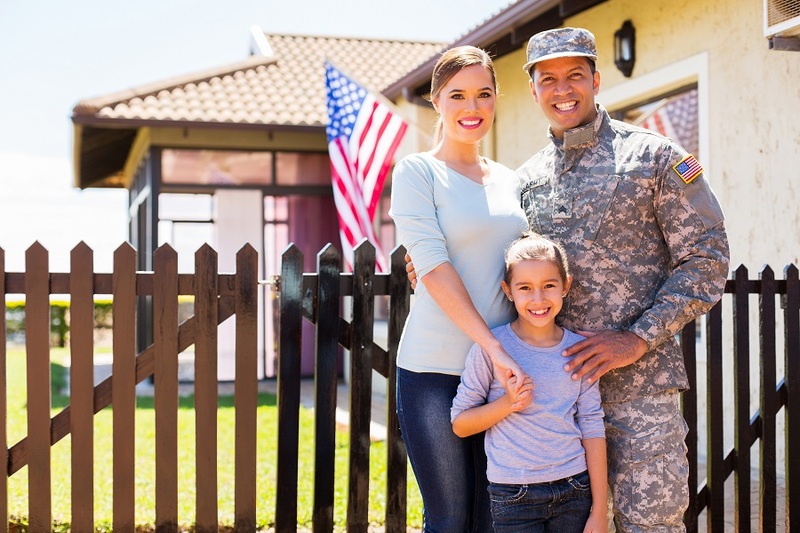 Parole in place (PIP) is available to certain undocumented family members of U.S. military personnel (active or veterans). Beneficiaries who are granted PIP are provided authorization to stay and work in the United States. More importantly, PIP beneficiaries are “paroled” for the purposes of applying for a green card inside the U.S. under §245(a) of the Immigration and Nationality Act (INA). Parole in place is a significant benefit that’s generally not available to family members of civilians. 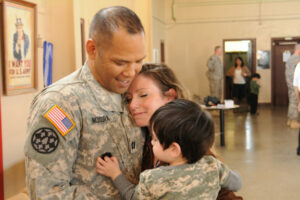 The policy maintains family unity and gives service members peace of mind. Under current immigration law, people who entered the United States without inspection (unlawfully) generally cannot apply for permanent residence (green card) from inside the U.S., a process known as adjustment of status. In these cases, the undocumented family member cannot obtain a green card unless he or she returns to the home country for consular processing. However, in most cases, that person will trigger a 3- to 10-year bar as a penalty for the previous unlawful presence. This policy has been criticized because it forces the family to split up and generally makes immigration extraordinarily difficult after an unlawful presence. For members of the U.S. armed forces, these scenarios can create stress and anxiety that adversely affects military preparedness. U.S. Citizenship and Immigration Services (USCIS) issued a initial memo in November 2013 that details the parole in place policy and provided additional clarification in a November 2016 memo. The parole in place policy aims to prevent the separation of military families by allowing certain family members to remain in the United States. In addition to being in an authorized stay, the previously undocumented family member(s) may also be eligible for employment authorization. Generally, immediate family members can adjust status to permanent resident (green card holder). The immediate parole-in-place benefits include protection from deportation and eligibility for a work permit. PIP authorizes the individual’s stay in the United States for a one-year period. The beneficiary is also given an I-94 arrival/departure record as evidence of parole. With the I-94 record, the individual may apply for an employment authorization document (work permit) using Form I-765, Application for Employment Authorization. Applicants are eligible for the work permit as parolees. Adjustment of status, the process of applying for a green card within the United States, requires a lawful entry. One of the primary benefits of parole in place is the I-94 arrival/departure record. The I-94 is evidence of a lawful entry for the purposes of adjusting status. Even though the individual initially entered the U.S. unlawfully, PIP allows the individual to be eligible to adjust status under INA §245(a). Because an immigrant visa is always available to the spouse, parents, and unmarried children (under age 21) of U.S. citizens, these individuals may generally adjust status immediately. Other types of relationships (such as the spouse and child of lawful permanent residents) may have to wait for an immigrant visa to become available. A grant of PIP cures the inadmissibility ground under INA §212(a)(6)(A)(i), relating to individuals “present in the United States without being admitted or paroled,” but does not impact other inadmissibility grounds. In other words, the beneficiary must be eligible to adjust status to permanent resident under INA §245(a) grounds of inadmissibility. 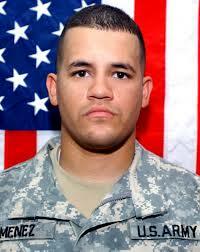 In May 2007, Specialist Alex Jimenez was abducted by insurgents while serving in the U.S. army in Iraq. The attack resulted in the deaths of four service members and abduction of two others. Tragically, all three captured soldiers would later lose their lives. During the period that Jimenez was missing in action, his wife was put into removal proceedings in the United States. Does not have a criminal conviction or other serious adverse factor. A foreign national who entered the United States with a valid visa (that is now expired) is not eligible for parole in place. Generally, immediate relatives (spouses, parents and unmarried children (under age 21) of U.S. citizens) who entered on a valid visa may adjust status after a visa overstay. These individuals, as well as other family members not categorized as immediate relatives, may also be available for deferred action. Submit a criminal disposition with the assistance of experienced legal counsel. Upon approval, USCIS will grant temporary authorization to stay in the United States for a one-year period. Beneficiaries may generally extend their stay by submitting another PIP application. During the authorized stay in a parole status, the beneficiary may also apply for employment authorization. More importantly, the foreign national will receive an I-94 Arrival/Departure record as evidence of parole status. The I-94 is critical evidence that is necessary to apply for permanent resident status through the adjustment of status process. An adjustment of status application package will also include several supporting documents. The list of items is highly dependent on the type of relationship and specific answers on the forms. Please refer to the USCIS website for each form or your CitizenPath filing instructions. Can other family members request parole in place? Generally, parole in place may only be used for the U.S. citizen’s spouse, parents or unmarried minor children (under 21). In some cases, the widow of a U.S. citizen service member can request parole in place. PIP will not, in most cases, provide adjustment eligibility to foreign nationals in the preference categories. Is parole in place granted to everyone that applies? Parole in place is not guaranteed. It is a discretionary policy, and USCIS will review each individual’s situation on a case-by-case basis. On Form I-131, which application type should I select for PIP? Can I request PIP if I'm in removal/deportation proceedings? A foreign national who is in removal proceedings or has been issued a final order of removal may still be able to obtain parole in place. First, you will need to convince Immigration and Customs Enforcement (ICE) to terminate active removal proceedings or to join in a motion to reopen an immigration court case. We highly recommend that you contact an immigration attorney to assist with this process. Can I request PIP if I have a criminal history? USCIS grants parole in place on a discretionary basis. A person with a criminal offense will likely have a more difficult case. Therefore, consult with an immigration attorney if you have a criminal history. With a grant of PIP, a criminal offense can also be a barrier to adjustment of status. PIP does not remove other grounds of inadmissibility such as certain criminal offenses. An immigration attorney may be able to help you obtain post-conviction relief, a waiver of inadmissibility or other relief.